Have you been diagnosed with vitamin D deficiency? You’re not alone. Vitamin D deficiency has almost become an epidemic, especially for those who live in the Northern Hemisphere. The sun is an important source of vitamin D. We absorb it through our skin. People in the Far North live with less sunshine. Add in the fact that our lifestyles and technology keep us indoors, and the danger of low vitamin D increases dramatically. It’s no wonder that reportedly more than 40 percent of Americans have a vitamin D deficiency. To complicate matters, many may not even know they have low vitamin D. Some may drink a couple of glasses of milk daily and think that’s enough to keep their bones healthy. Their fatigue and general aches and pains are often dismissed as something else. They don’t realize that vitamin D deficiency causes many other health problems. Read on to find out more about the danger of low vitamin D.
Sometimes muscle weakness is has mistaken for simply being tired. If you’re experiencing general fatigue, muscle weakness may go undetected. Symptoms become stronger as the low vitamin D worsens. General aches turn into muscle and bone pain. Probably the most well-known danger of low vitamin D is problems with the bones. One study conducted in Minnesota of 150 patients with musculoskeletal pain found that 93 percent had a low level of vitamin D. Your bones stop growing in adulthood, but old bone tissue is constantly being replaced by newer tissue. Low vitamin D causes interference with the process and eventually leads to osteoporosis. Research has indicated that vitamin D may help prevent constant respiratory problems. For severe asthma increasing vitamin D intake is important. Symptoms range from becoming easily winded to feeling like you can’t breathe. This, in turn, can cause a panic attack. Seasonal Affective Disorder (SAD) can occur when you have a prolonged lack of sunlight. This is best seen in people who relocate to a less sunny place. The Vitamin D Council says it’s because vitamin D helps your brain’s neurotransmitters produce serotonin to give you a happy feeling. Indeed, studies indicate episodes of depression as a danger of low vitamin D.
Since vitamin D affects over 2,000 of our genes, chronic infections can be a danger of low vitamin D. An adequate amount keeps the immune system strong and healthy. Without it, you’re more susceptible to infections and disease. 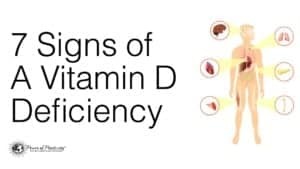 Damaged blood vessels, blood clots, and other heart conditions can result from deficiencies in vitamin D according to the National Institutes of health. Low vitamin D can also be one of the causes of high blood pressure. Symptoms you may experience from cardiovascular disease include dizziness, breathing problems, swollen legs, and chest pain. Discuss these symptoms with your doctor right away. Psoriasis, that scaley itch on your scalp or elsewhere has not been directly linked to a lack of vitamin D. However, it is often used in treating the condition. According to the Mayo Clinic, low vitamin D makes it more difficult to ward off psoriasis. Low levels of vitamin D may be responsible for chronic pain. The connection was discovered as recently as 2010 when researchers discovered a link between the two. Your doctor will tell you the best way to up your intake. No one wants to live in pain; adequate vitamin D could be a simple solution. Your body needs energy to feel good, and vitamin D, along with other vitamins create energy. Being tired most of the day interferes with both work and play. You’re less likely to get out and be active in the sunlight. 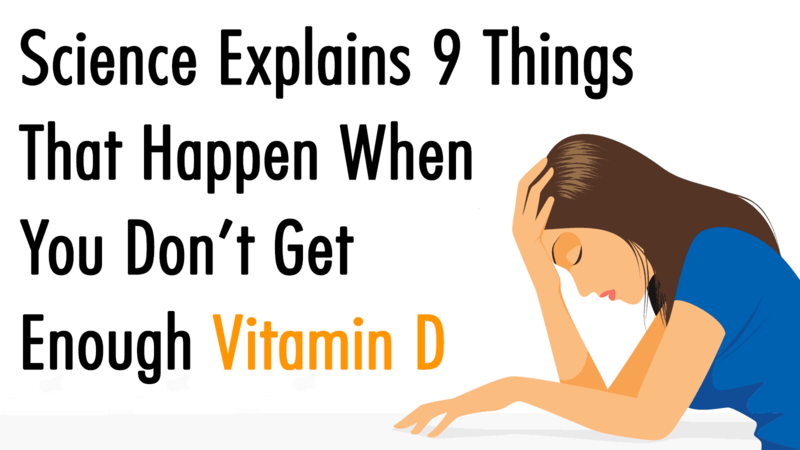 This compounds the problem resulting in even lower vitamin D.
As you’ve learned, low vitamin D can be the culprit for a myriad of health issues. More and more studies are being conducted that may link even more problems to a low level of vitamin D. Dementia, crankiness, reduced endurance, even a lower life expectancy may be attributed to low vitamin D.
If you live a lifestyle that doesn’t get you out into the sunshine very much, and if you aren’t taking supplements, now is the time to make those changes. Food is nutritious but it’s hard to get an adequate amount of vitamin D from it. If you experience any of the symptoms a low vitamin D deficiency causes, or even if you don’t you should have your vitamin D level checked. Your doctor can perform a simple blood test to find out. Don’t wait until your Medicare wellness exam to learn you are one of the four in 10 Americans with low vitamin D.